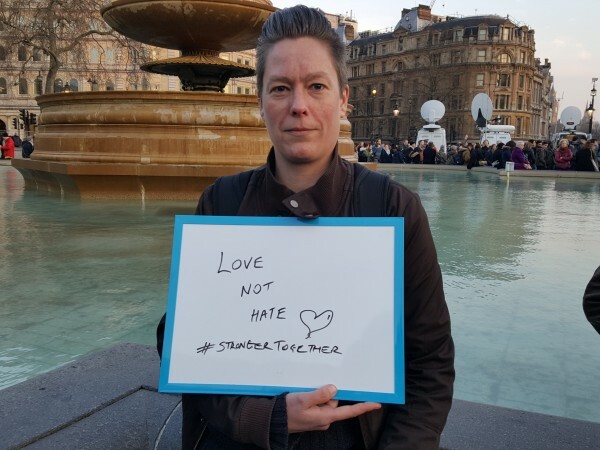 People gathered in Trafalgar Square for a vigil to remember the victims of Wednesday’s Westminster attacks. They lit candles and held a minute’s silence for policeman Keith Palmer, Aysha Frade and Kurt Cochran. 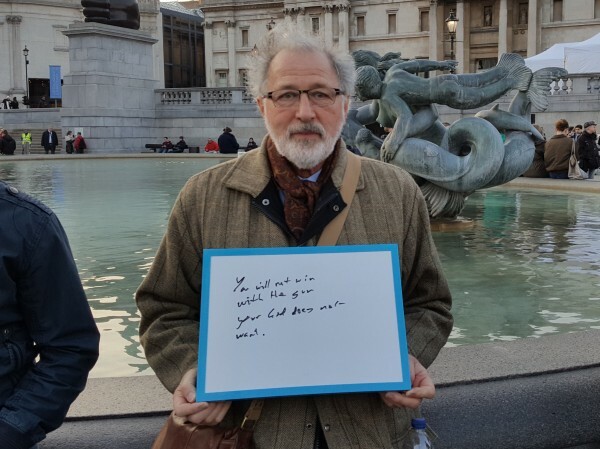 We went to the vigil and asked people why they had come and what message they had for the world after the attack. His message: Love for all hatred for none. 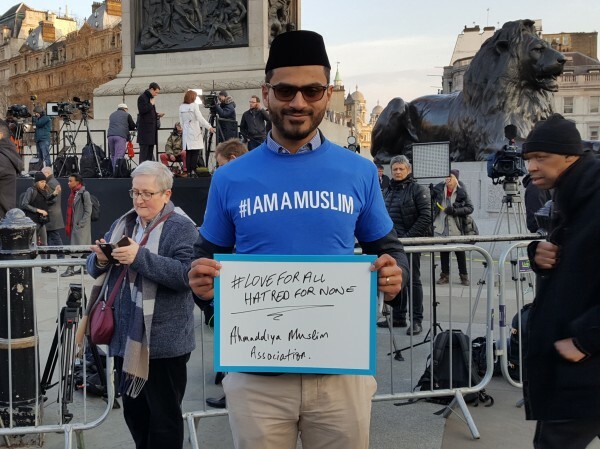 Ahmad is from the Ahmadiyya Muslim Association, and said their South West London mosque is the biggest in Western Europe. As we spoke, someone draped in a Union Flag stopped to shake his hand. How did he feel about the positive reaction him and the other young Muslim men from his mosque were getting from other mourners? 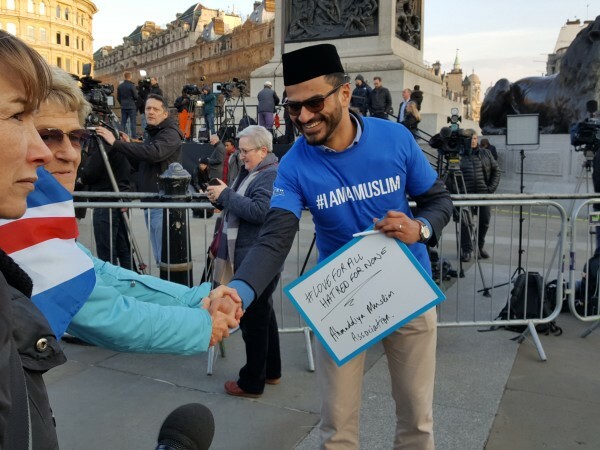 “It makes us feel good that we’re portraying the true message of Islam, that is our golden aim and hopefully we will be a step closer to peace in this society,” he said. His message: You will not win with this gun your God does not want. “Violence, and a gun will achieve nothing,” he said. “I think that there’s too much hatred of people in the world and from what I’ve experienced love is the way forward,” she said. 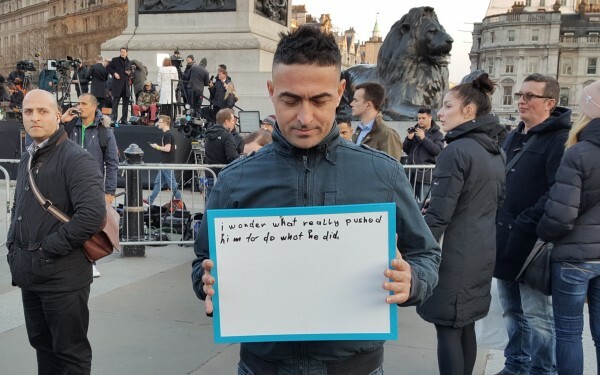 His message: I wonder what really pushed him to do what he did. “I think they need to do a big investigation to find out why this happened,” he said. Her message: Love, acceptance, forgiveness, united, all human. Hope. Love. Not hate. Jan, who did not want to give her surname, said as a Protestant visiting an Irish Catholic partner in the 80s, she’d experienced abuse for being British. But eventually, she persuaded people that she was not the government, they understood, and it changed her perspective on things. “We shook hands, and that was really a huge eye opener for me. I didn’t take sides, I got both sides,” she said. 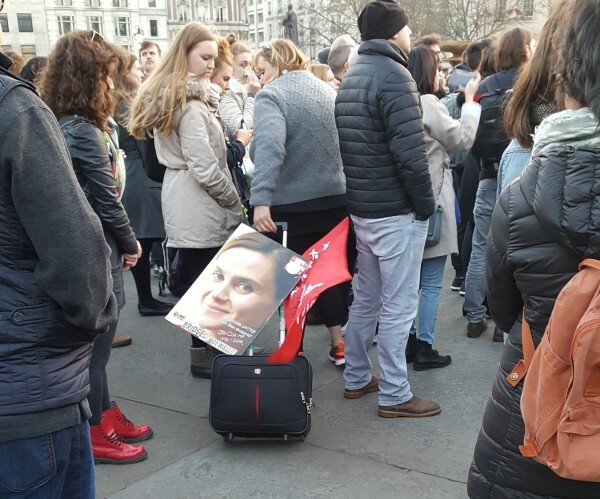 Jan had a large poster of the late Joe Cox on her bag. “I was helping with (Tooting MP) Dr Rosena Allin-Khan’s election in Sadiq Khan’s seat on the day,” she explained. 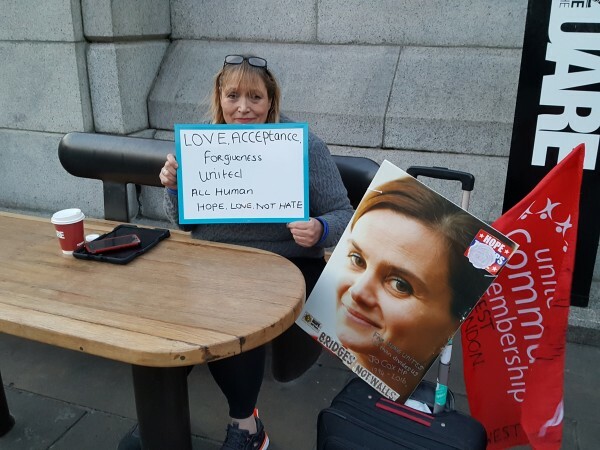 “The news came in as we were helping that the lovely Jo Cox had been murdered, assassinated, by a right wing neo-nazi supporter and it stayed with me.